Rajeev's World: The Return of the Natives!!!! They say that one always retains an emotional connect with the place where one is born and where one spends one's formative years. That had always been true for me, there has and will always be a soft corner in my heart for Africa in general and Uganda in particular, for that's where I came from! Recently, my sister, Neelima, got a wonderful opportunity to visit Uganda. And Papa, Mom, Neeti and I were getting a live stream of the action there through her photos on mails and Skype. Those moments were so emotionally charged and intense for all of us and particularly me. Thanks to Neelima for allowing me to share some of her photographs here. These show the places and sights that I had experienced in the first 30 years of my life. Here comes the first of the series!!! 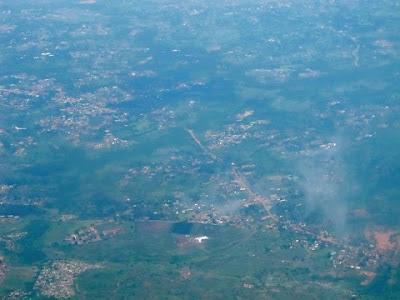 One of the first glimpses of my motherland, the land where I was born, Uganda! Every place is unique, but the greens and blues of Africa have hues, nowhere else to be found. And Uganda stands out. Little wonder, Sir Winston Churchill fell so madly in love with this country that he called it the Pearl of Africa! 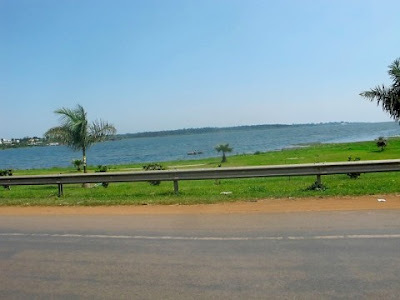 Lake Victoria! Will always have fond memories of its shimmering blue waters, green grass and palms fluttering on its shores! Touchdown! The Return of the Natives!!! Wouldn't I have kissed the soil? I am dying to get back there, with Papa and Mom to relive those moments 30 years back and to show Neeti where I grew up!!!! Times change! 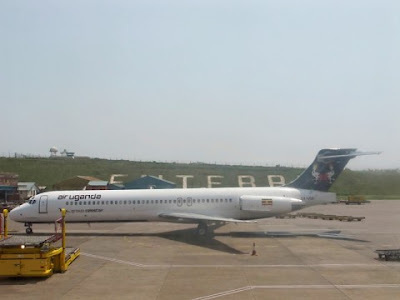 Uganda Airlines went bust and now you have Air Uganda, but Entebbe etched into the embankment is an enduring image! I will always remember Uganda Airlines Fokkers and Boeing 707s and its lovely African livery, with the majestic crested crane adorning the fuselages!!! 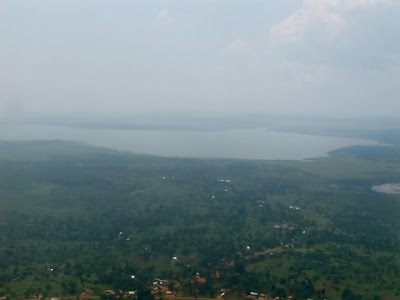 A magical view of the grand old Lake Victoria! I am dying to see you! And I am told, the roads in Uganda have Airtel all over. Such is the convenience that you can buy Airtel SIMs from roadside vendors - no verifications, no activations, no paranoia, like we have in India! Such is the innocence in my land - they know no terror! Hope it stays that way, forever!!! 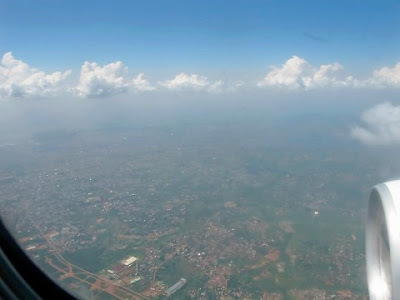 Kampala, the city that gave me birth! The city of seven hills! Makes me fall in love all over again! There's always a little bit of India where ever you go. 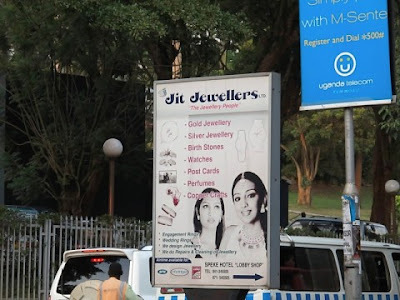 More so, in Uganda, where Indians have lived since the 1800s, except for a brief interregnum in the 1970s. Fusion has been a natural consequence of the long Indian existence in the country. Neelima told me that chappatis and samosas have been integrated into daily Ugandan cuisine. 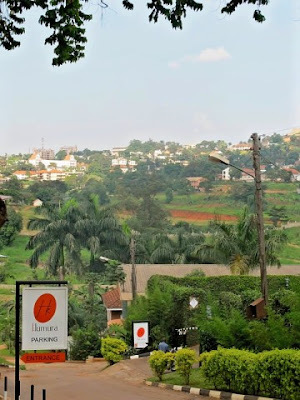 It is wonderful to read the emotional feelings about Uganda where we spent our youthful years and our children had their early formative years with lasting and fond memories of the 'pearl of Africa'. Relived the memories through livid descriptions and lovely photographs revived the nostalgic memories. 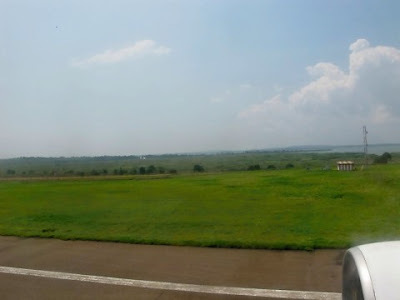 I am told - but did not see - the old bullet-riddled terminal of Entebbe is still there. It has not been repaired after all those years and is being turned into a monument of sorts. Maybe you can see it when you go there.